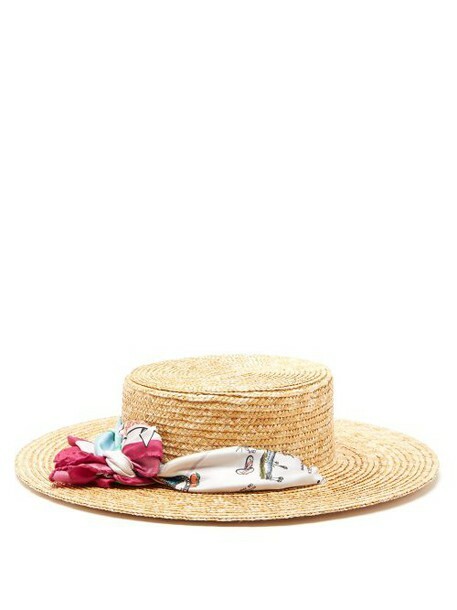 Filù Hats - Filù Hats' pink boater is handwoven in Italy from Spanish Córdoban straw intro a structured, wide-brim shape. It's threaded with a satin-twill scarf that's printed with a map of California that points out different landmarks like Yosemite National Park, the Venice Boardwalk and Beverly Hills. Wear it with poplin summer dresses for days spent in the sunshine.